﻿Dr. 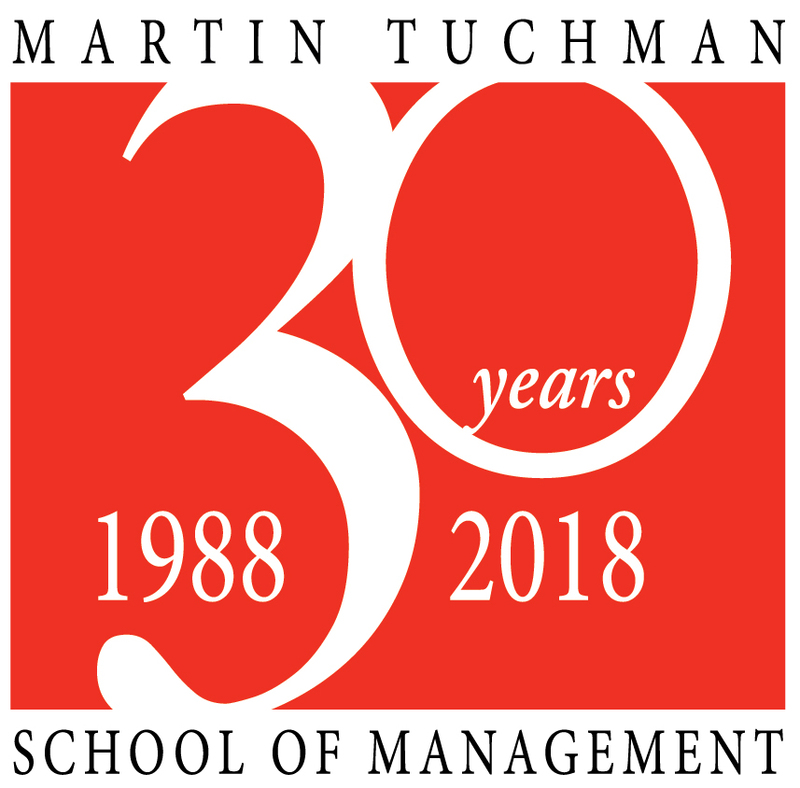 Rapp is the first Henry J. Leir Professor of International Trade and Business at The New Jersey Institute of Technology’s Martin Tuchman School of Management and Director of the Leir Center for Financial Bubble Research. He has had an extensive international career in academia, business and government and joined NJIT after completing a year in Japan as a Fulbright Scholar and APSIA Visiting Professor at Ritsumeikan University in Kyoto. While in Kyoto, he assessed the political economic impact of Japan’s rapidly aging population while lecturing on the Asian Financial Crisis and the History of Investment Banking. Dr. Rapp has been the Chair in Economic Relations with Japan and International Business at the University of Victoria in Canada, Director of Yale’s International Relations Program, a Senior Research Fellow at Columbia University's Center on Japanese Economy and Business and its East Asian Institute, and the Toyota Visiting Professor of International Business at Columbia. He continues as a Senior Research Associate at Columbia where he has directed two multi-year projects under grants from the US-Japan Friendship Commission and the Sloan Foundation examining US, EU and Japanese firms’ use of information technology to improve global competitiveness. Before entering into fulltime teaching and research, Dr. Rapp was active in business and government as Executive Director for Bank of America's Corporate Finance Group in Tokyo responsible for North Asia, Vice President at Mitsui Nevitt Capital Corporation in charge of Mergers and Finance, and Commercial Counselor at the US Embassy in Tokyo. Prior to his leave with the Federal Government, he was group head Bank of America's Project Finance Section for Mining and Minerals worldwide and a Vice President with JP Morgan. Earlier in his career he was a consultant with the Boston Consulting Group in Boston and Tokyo, an adjunct professor at NYU and Fordham Universities, and an economist for AID in Korea and Vietnam. Elected a director of the Japan Fund in 1991, he continued in this capacity until 2005 and was a member of the executive, audit and valuation committees. He was a board member of the Association of Japanese Business Studies from 2003-2005. • Admitted New York State and Connecticut State Bars 2010. 2013 – ed. Boil, Bubble, Toil And Trouble: An Analytical Exploration Of Bubbles, Kindle Direct Publishing & Createspace, Seattle, WA. 2004 – Information Technology Strategies: Oxford Press, 2d printing with revisions; initial version Summer 2002. How leading firms use IT to gain advantage, (Book based Sloan case studies). Award Stillman School of Business 2003. 1995 – The Future Evolution of Japanese-US Competition in Software: Policy Challenges and Strategic Prospects, Final Report Japan-US Friendship Commission, Columbia University. 1967 – Park, et al, Effective Protective Rates for Korean Industries, Korean Development Institute, Seoul, Korea. 1966 – "A Theory of Changing Trade Patterns Under Economic Growth: Tested for Japan," Yale Economic Essays, New Haven, Conn., Fall 1967, pp. 69-135. Notes 3rd Leir Conference held at Leir Retreat in Ridgefield, CT September 2013 on “Examination 1929, Japan 1980s and Dot.Com Boom and Bust,” posted on www.leirbubblecenter.org. from 2nd Bubble Conference held at Leir Retreat in Ridgefield, CT September 2012. www.leirbubblecenter.org. _, “Everything is Not a Bubble,” in Rapp, W. ed. Boil, Bubble, Toil And Trouble: An Analytical Exploration Of Bubbles, Kindle Direct Publishing, Seattle, WA. _, “Bubbles In Law,” in Rapp, W. ed. Boil, Bubble, Toil And Trouble: An Analytical Exploration Of Bubbles, Kindle Direct Publishing, Seattle, WA. _, D. Viola, & R. Mehta, “Marketing Bubbles,” in Rapp, W. ed. Boil, Bubble, Toil And Trouble: An Analytical Exploration Of Bubbles, Kindle Direct Publishing, Seattle, WA. _, & M. Ehrlich, “Structured Investment Vehicles,” in Rapp, W. ed. Boil, Bubble, Toil And Trouble: An Analytical Exploration Of Bubbles, Kindle Direct Publishing, Seattle, WA. 2012_, “Everything is Not a Bubble,” IABPAD Conference Proceedings, LA (refereed). A version of this paper is also posted as Working Paper #11 on the Leir Bubble Center website, www.leirbubblecenter.org. _, “Notes On Leir Bubble Conference,” www.leirbubblecenter.org, posted notes from first Bubble Conference held at Leir Retreat in Ridgefield, CT September 2011. _, “The Kindleberger-Aliber-Minsky Paradigm And The Global Subprime Mortgage Meltdown,” Critical Perspectives on International Business, Volume 5 Issue 1/2 (refereed). This also won 2010 Stillman School of Business Award for best Finance paper. It is also available for download from the Leir Bubble Center website, www.leirbubblecenter.org as Working Paper #1. 2003 _, Review, Beyond the Dot.Com's, The Economic Promise of the Internet. IEEE Transactions on Engineering Management, Vol. 50, No. 4. _, “Copyright: A Too Strong Protection Policy for Computer Software?” in volume edited by Koichi Hamada on Intellectual Property Rights in Japan, MITI, Tokyo. _, “Life Cycle Model,” Final Report Symposium on Building the Financial System of the 21st Century: An Agenda for Japan & the United States, Program on International Financial Systems, Harvard Law School. 1995 _, “Capturing Japan’s Attention: Canada’s Evolving Economic Relation with Japan,” Benchmarking the Canadian Presence in East Asia, Wendy Dobson, ed., Centre for International Business, University of Toronto (refereed). _, “Soft Policies and Hard Competition: Government, Industry, and User Impacts on the Development of Japan’s Software Industry,” Columbia Center on Japanese Economy and Business Working Paper No. 94. _, Review Economic, Industrial and Managerial Coordination between Japan and the USA, Journal of Japanese Studies, August. 1994 _, Review article on Japanese Finance and Unequal Equities, Journal of Japanese Studies, February. _, Review Article Zaibatsu, Journal of Asian Studies, August. 1993 _, "Japanese Foreign Direct Investment in the Product Cycle," Proceedings of the Association of Japanese Business Studies, January (refereed). _, "Japan Inc. at a Crossroads: Outlook for Japan's Economy and Multinational Corporations through the End of the Decade." The World & I, Washington Times, November. 1992 _, "Japanese Multinationals: An Evolutionary Theory and Some Potential Global Political Implications for the 1990's," Center on Japanese Economy and Business Working Paper Series, No. 61, January. Published as "Japanese Multinationals: An Evolutionary Theory," in Europe, Japan, and America in the 1990s: Cooperation and Competition, Vol. III in Europe. Asia-Pacific Studies in Economy edited by Thomas Leuenberger and Martin Einstein, Springier-Verlag, Berlin, p 221-267 (refereed). 1988 _, "Demystifying M&A," Mitsui Trade News, Vol. 25. 1987 _, "Stabilizing the Yen: The Unattractive Alternatives to Full Import Liberalization," Yomiuri Symposium on International Economy '87, Yomiuri Shinbun, Tokyo, p 53-56. 1986 _, "Japan's Invisible Barriers to Trade," T. Pugel, ed., Fragile Interdependence, D.C. Heath, NY, p 21-45 (refereed). 1984 _, “Unbundling Japan Inc.," Creative Computing, August, p 43-48. 1983 _, "Japan's Government Policy on Trade," Encyclopedia of Japan, Kodansha, Tokyo. _, "Reevaluating Past Policy Approaches to US-Japanese Trade Problems," R. Kosobud, ed, Northeast Asia and the United States: Defense Partnerships and Trade Rivalries, Chicago Council Foreign Relations, Chicago, p 25-42. _, "Industrial Structure and Japanese Trade Friction," Journal of International Affairs, Summer, Vol. 37, p 67-79. 1980 _, "The United States and Japan: Competition in World Markets: Policy Alternatives for the United States," Special Study on Economic Change. Vol. 9. The International Economy: US Role in a World Market, Joint Economic Committee, US Government Printing Office, Washington, D.C., December 17, p 354-361. _, "The Decade Ahead: Japan's Economy in the 1980's," Japan Society Newsletter, NY, Vol. XXVIII, p 5-7. 1979 _, "What the US has to do to Compete with Japan," Journal of Contemporary Business, Vol. 8, No. 2, p 17-26. _, and Robert Feldman, "Japan' s Economic Strategy and Prospects," William J. Barnds, ed., Japan and the United States: Challenges and Opportunities, NYU Press, NY, p 86-154. 1977 _, "Japan: Its Industrial Policy and Corporate Behavior," Columbia Journal of World Business, NY, Spring, pp. 38-58 (refereed). 1976 _, "Firm Size and Japan's Export Structure: A Microview of Japan's Changing Export Competitiveness Since Meiji," Hugh Patrick, ed., Japanese Industrialization and Its Social Consequences, U of C Press, Berkeley, pp. 201-248. _, "Japan's Industrial Policy," Isaiah Frank, ed., The Japanese Economy in International Perspective, John Hopkins Press, Baltimore, p 37-66. 1973 _, "Strategy Formulation and International Competition," Columbia Journal of World Business, NY, Vol. VIII, No. 2, p 98-112 (refereed). _, "Supply Management: A Key Element in Japan's Economic Policy," The Morgan Guaranty Survey, Morgan Guaranty, NY, September, p 10-15. 1972 _, and James Abegglen, "The Competitive Impact of Japanese Growth," in J. Cohen, ed., Pacific Partnership: United States-Japan Trade, D.C. Heath, Lexington, MA, p 19-50. _, and Thomas Hout, "Competitive Development of the Japanese Automobile Industry," in J. Cohen, ed., op. cit. 1971 _, "Implications of Japanese Competition for U.S. Business," Bond Buyer Annual, NY, November 30, p 221-240. 1970 _, and James Abegglen, "Japanese Managerial Behavior and 'Excessive Competition'," The Developing Economies, Vol. VIII, Tokyo, December, No. 4, p 427-444 (refereed). 1969 _, Herbert G. Grubel, and Harry G. Johnson, “Excise Taxes and Effective Protection: A Note,” The Economic Journal, Vol. LXXIX, September, p 674-675 (refereed). 1967 _, "A Theory of Changing Trade Patterns Under Economic Growth: Tested for Japan," Yale Economic Essays, New Haven, Conn., Fall 1967, pp. 69-135 (refereed). 2012, “Boil, Bubble Toil and Trouble – Review 2011 Leir Conference on Financial Bubbles,” 2d Leir Conference on Financial Bubbles, Ridgefield, CT.
2008 “Macroeconomic Perspective on Mortgage Meltdown and its Consequences”, presentation Governor’s Conference on Growth and Employment, Atlantic City, NJ. Keynote address on “Leveraging IT As A Core Competency To Enter New Businesses: The UPS Case,” The International Business and Technology Research Conference, Las Vegas; award for best paper presented at the conference. Presentations NYU (September) on “Leveraging Japan’s Economic Malaise: Using IT and Globalization to Restructure Japanese Industry”. Presentations at MIT (December) and Columbia (October) on “Strong Get Stronger: The Role of IT and Globalization in Restructuring Japanese Industry”. 1996 - CAPI Conference on “The Asia-Pacific Region and the Expanding Borders of the WTO: Implications, Challenges and Opportunities”, “The Persistence of Unilateralism and Bilateral Negotiations: A Practitioner’s Perspective,” June. Columbia Program for Chinese Power Firms, “Project Financing: Difficulties and Strategic Opportunities,” May. Columbia Conference on Software Users’ Strategies for Gaining Competitive Advantage: a US-Japan Comparison, “Japanese Users’ Strategies for Achieving Competitive Advantage,” April. 1995 - Canadian Association of Japanese Studies Conference, “Customized Software: Strategies for Acquiring and Sustaining Competitive Advantage: A Japanese Perspective,” University of Victoria, September (refereed). Association Japanese Business Studies, “Strategic Evolution of the Japanese Software Industry,” Michigan, June. Hong Kong Bank Asian Forum, ”Capturing Japan’s Attention: Canada’s Evolving Economic Relation with Japan,” Toronto, June (refereed). Japan Economic Seminar, Columbia on “The Strategic Evolution of Japan’s Software Industry - Government Policies, Industry Initiatives and User Economics: an Evolutionary Perspective,” February. 1994 - Osaka University-Columbia conference in Osaka on Developments in the Japanese Economy and Its Pacific Context, "The Role of Foreign Firms in the Japanese Securities Industry in the 1980s," June (refereed). Center on Japanese Economy and Business Conference on High Technology, Columbia, "Japanese Software: Strategies and Frustrations," April. NIBEN Conference on International Business, University of Washington, "Japanese Software: Strategies and Competition," February. Association Japanese Business Studies, Vancouver. "Japanese-US Competition in Software Policy Challenges and Strategic Prospects. A Research Agenda.," January. Conference (November): Japan’s Investment and Aid Strategies in Vietnam, University Victoria. “Japanese Producers and Strategic Development of Vietnam’s Auto Industry”. 1993 - Yale School of Organization and Management Conference on Foreign Direct Investment in Japan, "Foreign Direct Investment in the Japanese Securities Industry, Strategies for Long-term Competitive Success," (refereed). Pacific Institute Conference, Washington, D.C. on The Convergence of Antitrust and Trade Laws, "Multidimensional Obstacles to Foreign Competition in Japan's Financial Services." University of Washington Conference on Intellectual Property Issues in International Business, "International Processing Inc., A Constructed Mini-case Reflecting Transnational Tax Issues Involving Intellectual Property." 1989 - Australia-Japan Centre' s Conference on the Impact of Developments of Japan's Financial Market in Asia and the Pacific at Canberra, "Japanese Overseas Investment and Internal Economic Stress," (refereed). 1987 - Yomiuri Shinbun's Symposium on International Economy '87. Japan Society of New York and Columbia Center on Japanese Economy and Business Conference on Japan’s Industrial Structure in Crisis: National Concerns and International Implications, “The New Dualism”. 1984 - New York University Graduate School of Business Administration Conference on Japanese Business and Economic Structure, November, "Japan's Invisible Barriers to Trade," (refereed). 1981 - Sweden-Japan Economic Foundation, Symposium, Stockholm, August, "Japanese Macroeconomic Policies and Their Impact on Trade." 1980 - Association of Asian Studies, Annual Meeting, March, Washington, D.C., "The United States and Japan: Competition in World Markets - Policy Alternatives for the United States." Japanese American Relations in the World Economy, Skidmore, Saratoga Springs, NY, August, "US-Japan Economic Relations in the 1980's: A Multilateral Perspective." Second World Congress International Federation of Purchasing and Materials Management, Mexico City, July, "National Economic Policies and their Effect on World Trade." 1978 - Japanese-American Relations in the World Economy, Skidmore College, Saratoga Springs, NY August, "Japanese Managerial Style as a Function of Real Economic Pressure and Successful Long-Term Strategies." 1973 - American Statistical Association, Annual Meeting, Pittsburgh, PA, April, "Japan and the US"
1971 - National Association of Business Economists, Annual Meeting, Pittsburgh, March, "Implications of Japanese Competition for U.S. Business." Reported New York Times, IEEE Newsletter, and US News and World Report. Congressional Testimony: Joint Economic Committee, "National Economic Policy and U.S. Export Competitiveness." Interstate and Foreign Commerce, "Industrial Policy and Economic Survival: The Japanese Case," both 1980, and 1982 hearings before the Committee on Foreign Affairs on “U.S. Foreign Policy and the Law of the Sea.” Speeches NY Japan Society on US-Japan Trade, Japanese Economic Structure, Japanese Energy Demand, and Barriers to Trade, 1975, 1979, 1980, and 1984 respectively. Pacific Partnership Project 1971-72. Helped raise $180,000 from Japan-US Friendship Commission in 1976 to sponsor conferences on Japan related teaching modules for use US business schools. Japanese TV special on US-Japan Trade, 1979. US PBS TV special on US-Japan Relations, 1991. Published Interviews in Economist, in Look Japan. Contributor to Economist's Financial Report 1975-80. Participant several conferences in US, Australia, and Japan including member Columbia delegation US/Japan/ASEAN conference in Japan, December 1990 and Member of National Academy of Engineering study on the global electronics industry, 1980-81 and National Research Council study on Protecting Intellectual Property 1993. A chair and organizer of conferences at Columbia University on “Software as a Tool of Competitive Advantage: A U.S.-Japan Comparison”, 1996, “Software as a Strategic Tool of Competitive Advantage: Japanese and US Industry Case studies”, 2000 and on “Intellectual Property Rights and the Prospects for US-Japan Cooperation in Asia” 2002.